PEORIA, ILLINOIS - April 3, 2019 – Sure, innovation is a popular word these days. Everyone strives for their culture, company or community to be driven from an innovative spirit and mindset. And understandably so, true innovation can change the world. However, innovation is not simply a switch one can turn on. It is deeply rooted in who you are, what drives you and your vision for the future. It is with that understanding, although maybe not obvious or well known to the ‘outside’ world, or in fact maybe not even recognized in our own backyard, that innovation sets Peoria apart. Whether it be through the invention of penicillin, the Duryea automobile, development of autonomous technology, or even being the country’s first whiskey capital, Peoria’s history was created through a culture of innovation. And today that history is driving the future. Due to the area’s rapid and exciting growth of game-changing ideas, burgeoning entrepreneurs and innovative spirit, a movement has sprung to life. A movement born from our past and gaining momentum to push beyond tomorrow. 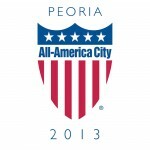 A movement we call Peoria Inno. The mission of the Peoria Inno is to share and promote Greater Peoria’s history, promote our progress and vision for the future, sponsor events and programming which foster collaboration, and support a seed fund and accelerator to enable and empower the next round of innovators and entrepreneurs that call Greater Peoria home. It is a mission that will ignite positivity, storytelling, mentorships, team events and competitions, educational opportunities, and an excitement not commonly found elsewhere. So whether you are an entrepreneur, investor, current business owner or simply a citizen of the region that sees, understands, and wants to help drive Greater Peoria to be the aspirational community we have been before and can be in the future, Peoria Inno is for you.